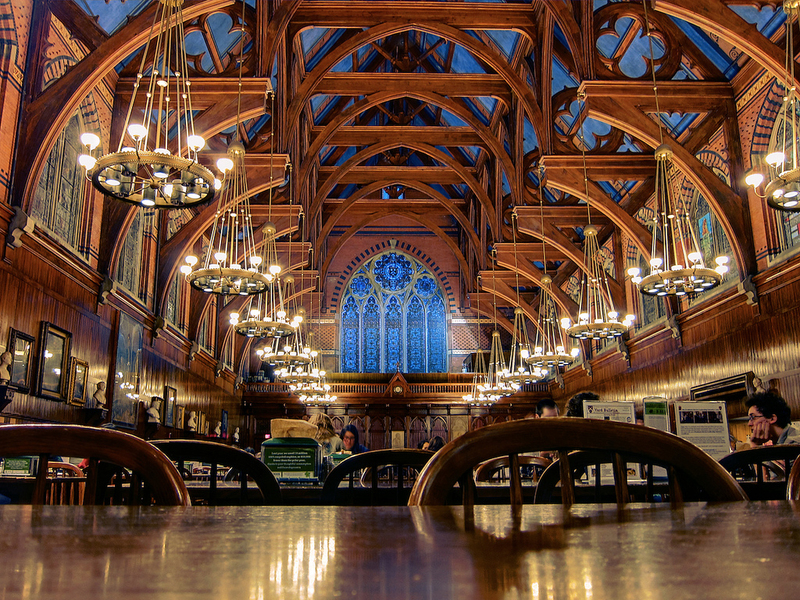 Memorial Hall, Harvard University; Cambridge, Massachusetts. Photo by Ken Zirkel/Flickr (Noncommercial Use Permitted with Attribution/Share Alike). 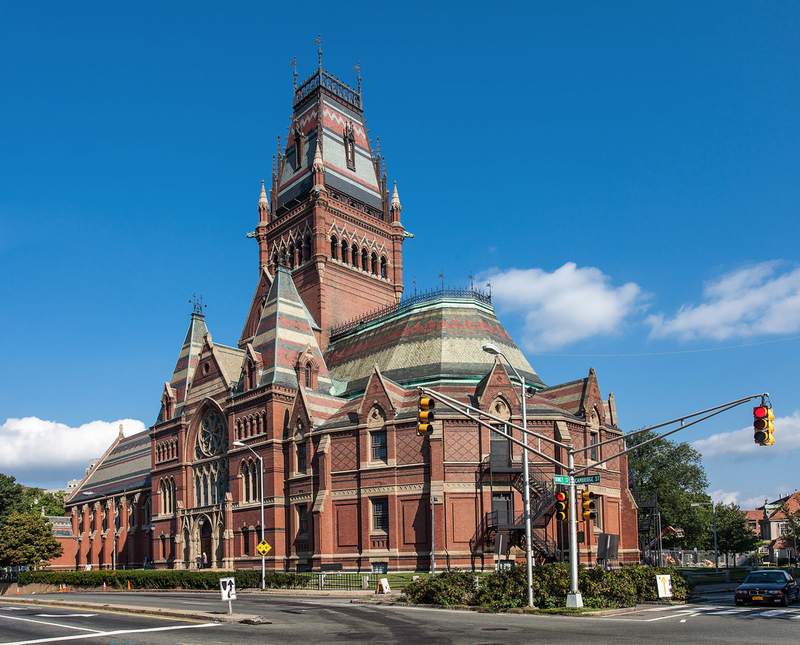 Built in the 1870's, Harvard University's Memorial Hall was designated a National Historic Landmark in 1970. Annenberg Hall (Dining Hall) inside Memorial Hall; Harvard University, Cambridge, Massachusetts Photo by NKCPhoto/Flickr (noncommercial use permitted with attribution/no derivative works).